The partial government shutdown, which President Trump called to a temporary end on Friday, cost the U.S. economy $11 billion, according to an analysis put out Monday by the Congressional Budget Office (CBO). 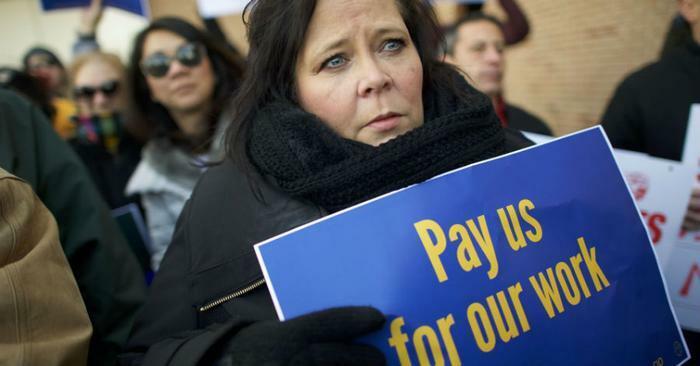 That figure encompasses lost output from 800,000 federal workers who were either furloughed or forced to work without pay, as well as delayed government spending on goods and services and reduced demand. While most of the financial hit will be recouped after government workers return to their jobs, the CBO said the 35-day shutdown will noticeably hamper economic growth in the first quarter. The CBO estimated that roughly $3 billion in economic activity was permanently lost. The agency said it didn’t estimate indirect losses that stemmed from the five-week shutdown, such as businesses that couldn’t get federal permits or loans. “Such factors were probably beginning to lead firms to postpone investment and hiring decisions,” CBO said, adding that the effects of those factors would have become more significant if the shutdown had dragged on longer. Democratic Reps. John Yarmuth of Kentucky, chairman of the budget committee, and Tom O'Halleran of Arizona, co-chairman of the moderate Blue Dog Coalition, requested that the report be written up last week, according to CNBC.